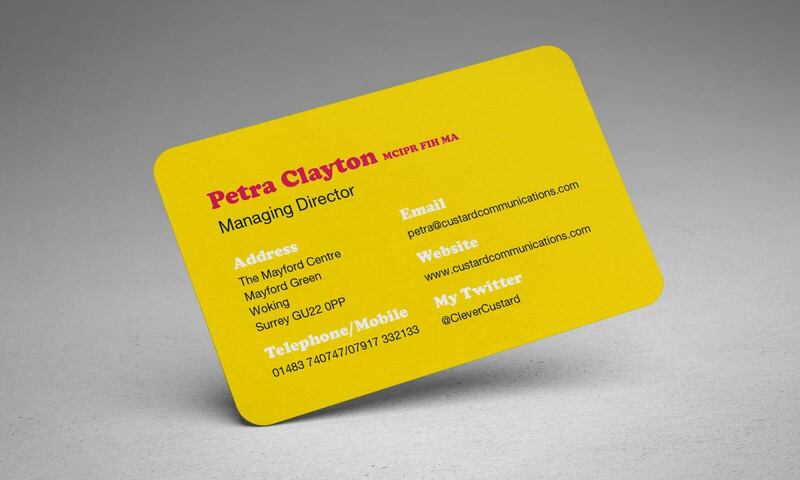 A colourful and vibrant identity for a leading PR and marketing firm specialising in the hospitality industry. 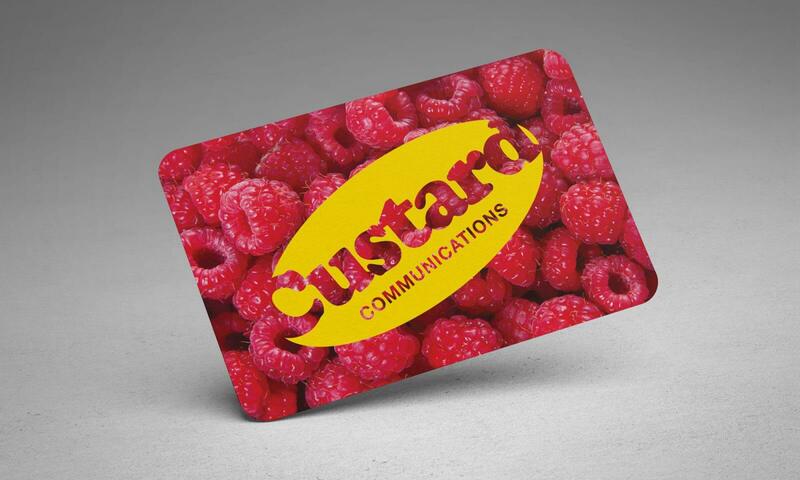 Custard Communications is a PR and Marketing firm specific to the hospitality industry. 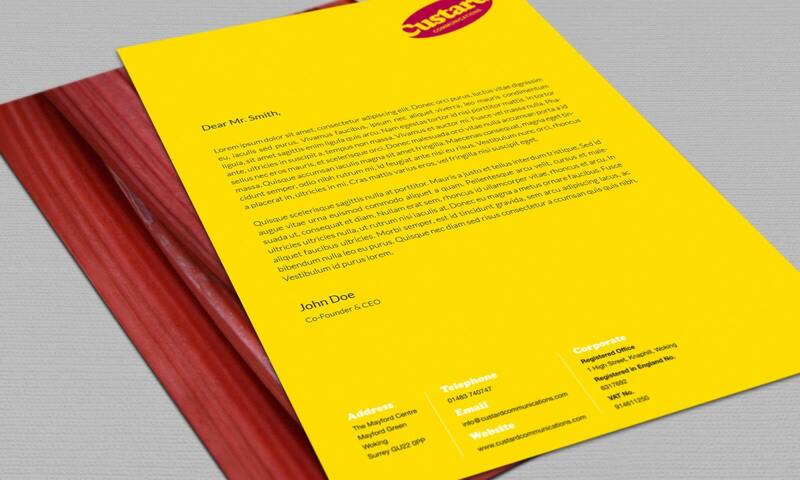 The brief highlighted the need to be different from the staid and predictable designs used by similar firms and thus a colourful and quirky identity was created. 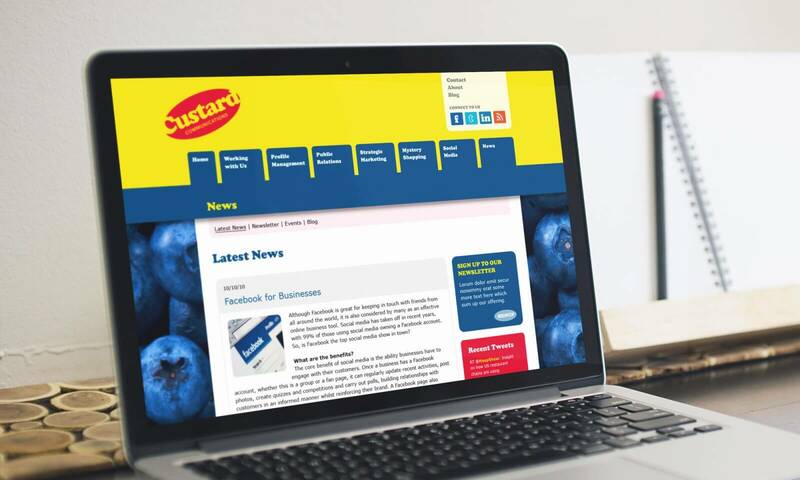 The relationship between Custard and its customers is very important. It is this relationship which is conveyed via the theme of ‘…and Custard’ – the diversity of clients characterised by the use of rhubarb, apples, blueberries, raspberries and bananas. 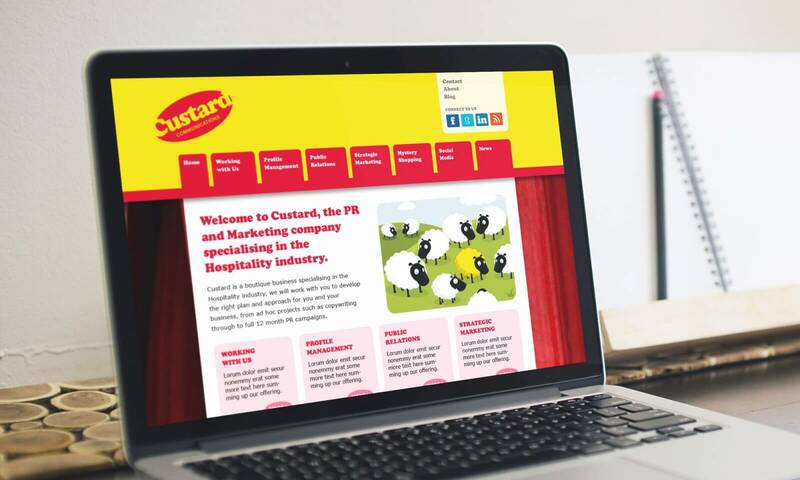 The resulting colour scheme for Custard is varied and unpredictable. 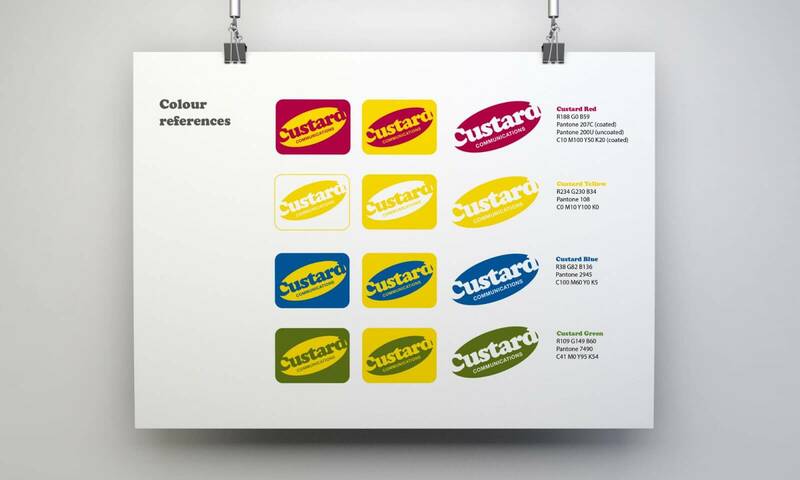 The logo itself was designed much like a label using typography which felt ‘custard-like’ – thick, large, condensed and rotated to reflect the dynamism of the company and its approach.